"No, smoking is not a possible hazard, and King has an ethical blind spot about cigarettes that you could drive a truck through." Former Airspace President and lifelong tennis player Bob Broughton weighs in on the recent renaming of the USTA National Tennis Center to the Billie Jean King National Tennis Center. No, he doesn't approve of it. Read his blog entry by clicking here. This letter was sent to several Lower Mainland newspapers. I would like to publicly express my heartfelt thanks to the contractors who started the major renovations on at least two Century Group buildings in Tsawwassen; Kelly Court and Kerry Court apartments. I say "started" because... well, rumor has it that, with the construction market being so hot right now, these contractors got a better offer elsewhere... and packed their bags and left, leaving the reno job at the above-mentioned apartments far from finished. The renos started in March or April and, while there's still a great deal of work to be done on the buildings, my own suite - as well as that of my neighbour below me - was completed August 26, including the balcony railings being re-installed. You're probably wondering why I would be so thankful that a job which shouldn't have taken more than 2 or 3 months dragged out for 5 or 6 months, especially with all the disturbances (often being woken up by the pounding of nails, etc.). Well, with balconies being totally out of bounds to tenants, I finally got to enjoy my first smoke-free summer in a very long time. It's true! Imagine this: In 25 - 30 degree heat, I could actually open my balcony door any time of the day or night and enjoy cool - and fresh - air, without worrying about my smoke-free home getting smoked out every time my neighbour decided she needed a hit of nicotine. Unfortuantely, with the balconies back in service, the smoke-free status of my home ended rather abruptly on Aug 28 (my neighbour must have been away on Aug 27). Airspace Action on Smoking and Health is currently lobbying the (to date, very tobacco-friendly) B.C. Liberal government for legislation prohibiting smoking in multi-unit dwellings (apartments, condos, duplexes, etc.). 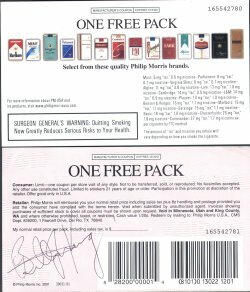 Given all that is now known about Second Hand Indoor Tobacco Smoke, there is no justification whatsoever for the situation that I am - and countless thousands of other British Columbians are - now experiencing. We have achieved smoke-free workplaces (including bars) and smoke-free public places. It goes without saying that those who choose to have smoke-free homes are - clearly, unequivocally, 100%, uncompromisingly - entitled to them! The critical issue here has nothing to do with what anybody does (in this case, smoke): It is strictly about where they do it and, even more importantly, where the smoke goes! Whether smokers care to accept it or not, it is their responsiblity to ensure that the toxic and deadly residue of their stinking addiction does not affect anyone else. In the case of multi-unit dwellings, that means NO SMOKING, PERIOD! New York City Mayor and media billionaire has announced that he is giving $125 million of his own money to establish a foundation that will create and support programs aimed at helping the world become tobacco free. It will work to change the image of tobacco, support efforts to educate communities about its harms, create a global clearinghouse for anti-tobacco ads and bring together a legal consortium to assist in drafting and passing legislation. Airspace President Errol Povah attended the 13th World Conference on Tobacco OR Health in Washington, DC. 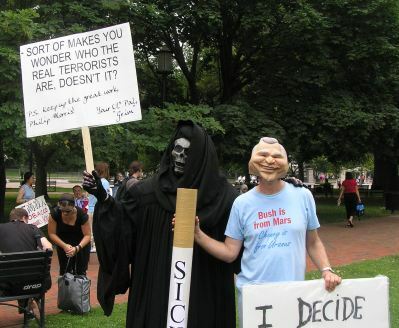 Okay, it wasn't the real George W. but... During our march to the White House yesterday, Grim ran into an individual who was wearing an incredibly realistic- looking George W. Bush mask. As you can imagine, Grim was absolutely delighted to see his old friend! With media and other cameras snapping and rolling, Grim ran to George, shook hands (simultaneously transferring to George a small token of the nicotine cartel's appreciation) and "warmly" embraced him. Not that there wasn't enough heat already! Temperatures are in the low to mid 90s, with extremely high humidity. Add a black (and very heavy) costume to the mix and I think Grim has developed a new weight-loss program: about five pounds per hour!!! Beat that, Jenny! Vancouver, B.C. - On May 22, Heather Crowe succumbed to lung cancer as a result of working in smoky restaurants for years, even though she never smoked a day in her life. She is considered by many to be one of the most important individuals to influence governments across Canada to protect workers and the public from second-hand smoke. "Residents and workers in Quebec and Ontario will benefit from Heather's advocacy efforts as 100% smoke-free legislation is implemented by the end of May," stated Bobbe Wood, President and CEO of the Heart and Stroke Foundation of B.C. & Yukon. "They can thank Heather for her selfless efforts in helping make this happen." 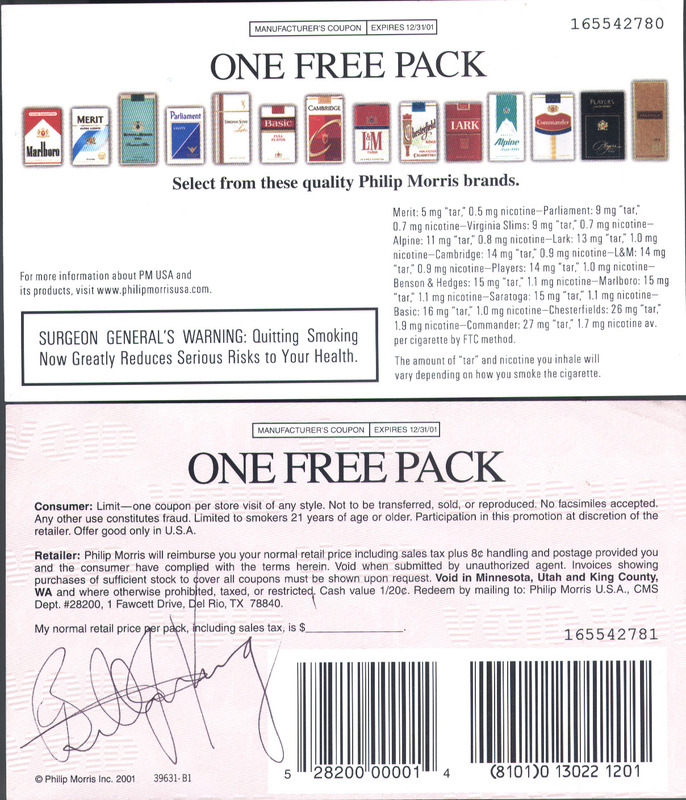 Airspace member Ken Knight's class-action lawsuit against Imperial Tobacco over its marketing of cigarettes branded "mild" or "light" was given the go-ahead to proceed in an Appeal Court judgment handed down on May 11, 2006. William F. Buckley: "Forbid smoking to everyone you care about"
I was back home after three days at the Mayo Clinic, and I sat with my wife, having decided on an evening of television. To this end we looked in the morning paper and saw the listing for the story of Bette Davis, coming on at 9 p.m. This was appealing, inasmuch as when I was about 15, I fancied my future as Mr. Bette Davis -- though that was a contingent romance, if Betty Hutton would not have me. And it was especially embittering given that Bette married just about everybody else. So I wound up with the mother of the author of Thank You for Smoking. In any case, we were seated, and after a flurry of investigations to discover on what TV channel Turner Classic Movies appears in New York (answer: 82) we were staring at her. That lovely head, lips all but closed, smoke filtering out of her mouth, and when the smoke was finally gone, she began to speak in her special way, contemptuous of everybody and everything. What followed (for as long as we stayed with her) were shots dating back to 1930. She was always with a cigarette in her hand, calling to mind the recent movie about Edward R. Murrow, which is one long shot of smoke-filled rooms in which characters occasionally say things -- grim things, mostly -- in between puffs on cigarettes. The Mayo Clinic is in what I think of as Middle America, though the term has to be used with care. It's easiest to visualize: Get yourself to Minneapolis and then head south for 90 miles, whereafter ... Rochester. There are 100,000 people there; a third of them work for IBM and a third for Mayo. Most people have a story about that remarkable place, myself included. Mine I got from the late David Niven. He was suffering from an odd affliction that seized his voice from time to time. Living in France and Switzerland, he had consulted with a broad band of specialists, but none had come up with a diagnosis. My wife said to him, Why don't you go to Mayo's? He did, and in two days they told him he was suffering from amyotrophic lateral sclerosis, popularly known as Lou Gehrig's disease. That's what it was, and he died of it 18 months later. Read more: William F. Buckley: "Forbid smoking to everyone you care about"